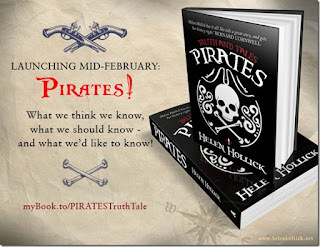 Today, my guest is Helen Hollick, a bestselling historical fiction author who knows a great deal about self-publishing. I've known Helen for a few years online and I was lucky to meet her properly 'in real life' at the Historical Novel Society ("HNS") Conference in Oxford, September 2016, as we were both members of the committee. 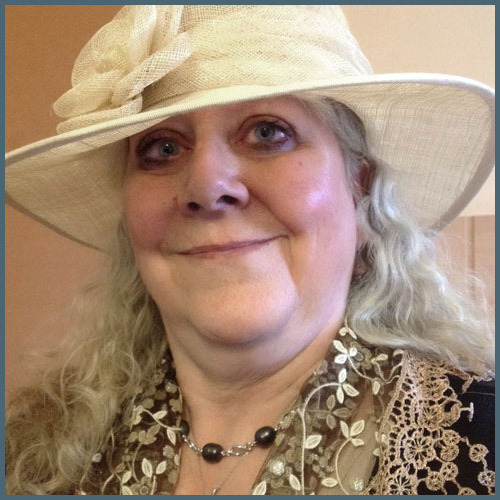 Helen has a huge hat selection, is wonderful company; and you can find out more in her bio at the end of this post. Recently, Helen set up her own review blog for historical fiction, Discovering Diamonds, and I invited her to write a guest post to explain more, so over to you, Helen...! For several years I was Managing Editor at the HNS for reviewing Indie historical fiction, but times change and I decided to head off into a new direction and a new venture – my own review blog for historical fiction. The ultimate aim, to review books good enough to recommend to other readers regardless of the production process or sub-genre. A good book is a good book, whether it is indie, self- or traditional mainstream published. Assembling a good team to support me was the first step. 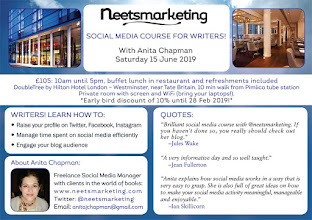 As it turned out I had a host of enthusiastic people who wanted to come on board: e-book editor Nicky Galliers, assistant editor author Annie Whitehead, graphics designer Cathy Helms, and an eclectic collection of eager reviewers, some who are writers, some just avid readers and some with a foot in both camps. The intention was to post one review a day (except Sundays) but I wondered if perhaps I was being a little ambitious? Would one a week be more practical? When Discovering Diamonds was initially announced in December 2016, and submissions for reviews were requested. The response was enormous and immediate. Within days there were enough good quality e-books pouring in to fill the entire month of January and most of February. We launched on 1st January 2017 and attracted over 1500 page views in that first week, along with a host of new submission requests. So the #DDRevs team is certainly being kept busy! We only review historical fiction (and maybe the occasional non-fiction, by invitation only). Our definition of ‘historical’ is any novel that has 75% of the story set pre-1950 (this is because I was born in 1953 and I refuse to be thought of as ‘historic’!) At our discretion we will review something history-based set later than this time limit, but there has to be a strong historical interest connection. I am thinking of novels such as Alison Morton’s wonderful Alternative History Roma Nova series, which are modern-day thrillers, but based on the presumption that the Roman administration survived, a theme which readers of Roman-Age novels, especially mystery/thrillers, would find intriguing and exciting. From the submissions we select which books to review which means just because we receive a book it doesn’t mean it will automatically receive a review. Our Discovered Diamond status is the equivalent to five stars, with a Diamond Review being four stars. Occasionally, for debut authors showing great potential we also include a 3+ star equivalent rating, with the review containing some helpful constructive criticism – maybe another edit will be suggested to pick up some missed typos, or perhaps a note to watch a tendency to ‘head hop’. Let me stress that we are not a critique service, but our view is that potential good authors (especially indie authors) need encouragement and support to start the climb up that long, steep, ladder, and the entire #DDRevs team take great pleasure in seeing these new authors improve and grow as they write more books. But in order to do so they often require that little bit of courage and confidence to keep going, a thing that is so easy to destroy if enthusiastic encouragement is not given. We do not, therefore, publish poor reviews. I am of the firm opinion that if you have nothing nice to say, then say nothing at all. I wish more readers leaving comments on Amazon would also adhere to this! That is not to say that if we do not select a book it must be poorly written – far from it! (Although, I must add, a few novice writers should perhaps consider finding a different hobby.) Most of our submissions are not selected because of incorrect formatting or presentation. 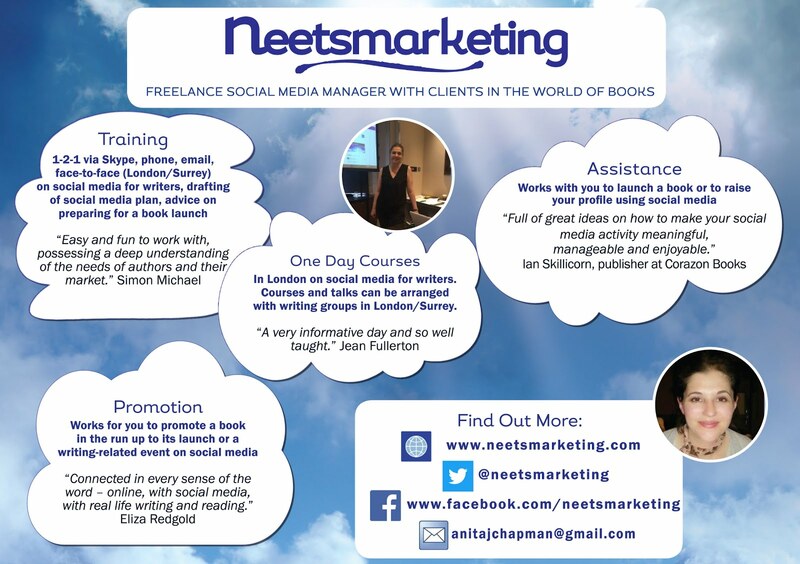 To be taken seriously as a professional author a book must look and feel good – which means correct formatting of the text, a well-designed cover, all the usual requirements of copyright etc on the opening page. Type face not so small it can’t even be read with a magnifying glass, so a suitable size and type of font is essential. And of course the story must be a good read! We are looking for quality produced books that are value for money to buy, and are suitable for recommending by ‘word of mouth’ (the best way for authors to sell books!) We also want authors to be proud of their Discovered Diamond logo which they can use how and where they like, and is presented when their book is reviewed. Our hope is that this logo will become recognised as a standard for a quality read, in the same way that Indie BRAG and the Chill With a Book Award operates. We primarily only accept e-books (mobi or e-pub) not paperbacks or hardbacks, this is because we do not charge a fee, so there is no funding to cover forwarding books to various reviewers. If there is no e-book version, or if there are complications we can occasionally arrange to receive a paperback edition. We do not accept gift vouchers as they are too complicated to use when other reviewers are involved, and PDF versions, unless professionally produced as an ARC edition, are not always suitable because our reviewers use a variety of e-readers and PDFs can often become incorrectly formatted on certain devices. But Discovering Diamonds is not just a place to post reviews. On our Sunday pages we have a Book of the Month and Cover of the Month slot (with also a Book and Cover of the Year award to follow!) A Guest Spot, and our Reader’s Voice section where we hope to draw readers into having their say about various issues. After all, what is the point of writing a book if no one is going to read it? 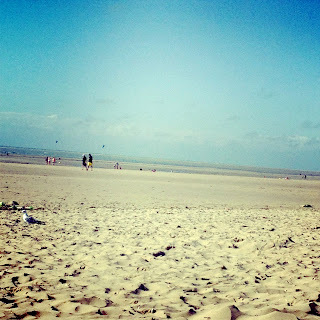 Anita: Thanks very much, Helen for taking the time to write this post! And best of luck with your new venture. Find out more about Helen in her bio, below. Helen Hollick moved from London in 2013 and now lives with her family in North Devon, in an eighteenth century farmhouse surrounded by thirteen acres of fields and woodland. A variety of pets include horses, three Exmoor ponies, dogs, cats, chickens, ducks and geese. First published over twenty years ago, her main passion is her pirate character, Captain Jesamiah Acorne of the nautical adventure series, The Sea Witch Voyages. Helen became a USA Today Bestseller with her historical novel, The Forever Queen (titled A Hollow Crown in the UK) – the story of Saxon Queen, Emma of Normandy. Her novel Harold the King (titled I Am The Chosen King in the US) is a re-telling of the events that led to the 1066 Battle of Hastings. While her Pendragon’s Banner Trilogy, set in the fifth century, is widely acclaimed as a different telling of the Arthurian Myth. 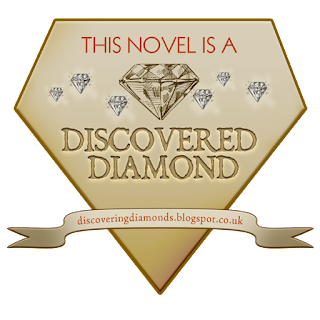 Helen is published in various languages including Turkish, Italian and German and as a supporter of indie writers, she co-wrote Discovering the Diamond with her editor, Jo Field, a short advice guide for new and novice writers who are interested in self-publishing. 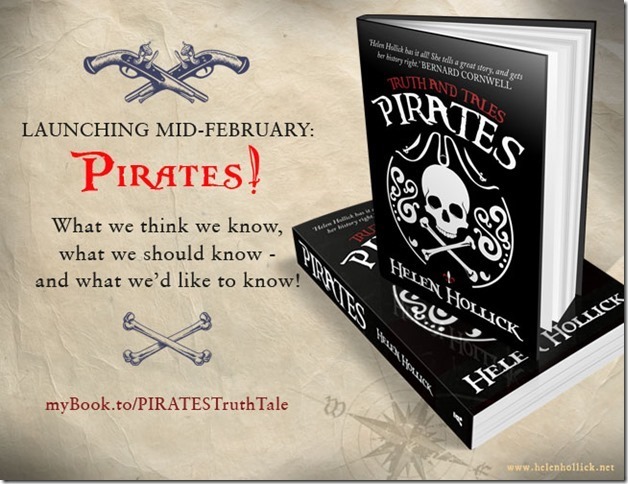 Her latest book to be published is a non-fiction Pirates: Truth and Tale, released in the UK in mid-February 2017 and is due for release in the US a little later. 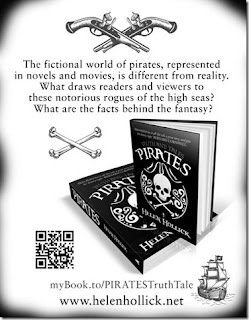 myBook.to/PIRATESTruthTale (Amazon Universal Link). A fabulous post with a truly wonderful person. I would like to say a BIG thank you to you both for adding a mention and a link to Chill with a Book Awards. Have a wonderful day. thanks Alison, I think the only debt needing paying is enthusiastic help to spread the word - not for my benefit, but for authors and readers. 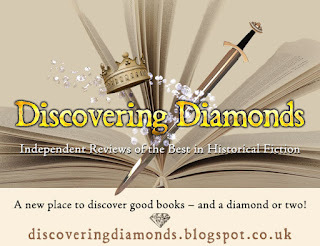 It sounds the perfect place for anyone who enjoys reading historical fiction to find a gem. Thanks Helen and Anita. Thank you Wendy - that is precisely our aim!